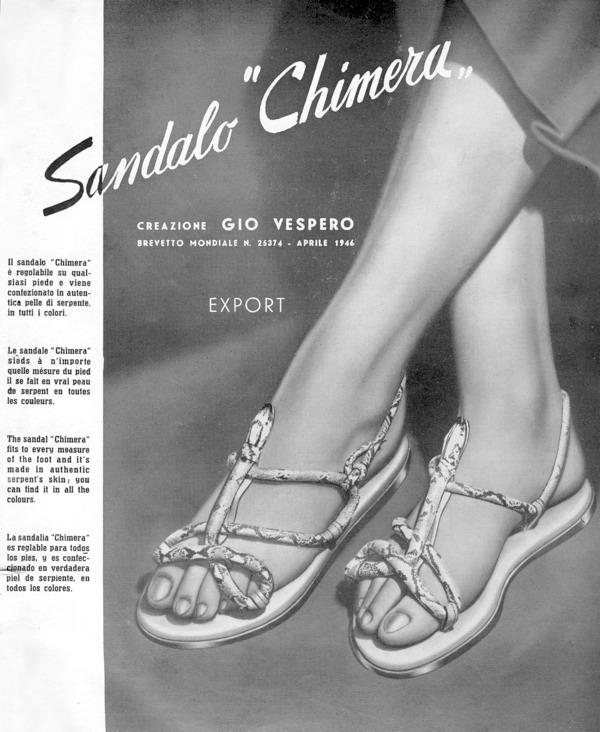 "Shoe upper made of a cord in the shape of a snake": it's the patent description made by Giovanni - Gio - Vespero of his Chimera sandal (granted October 22, 1946 - patent number 25374). No photo available at the Italian patent database. Wacky and creative. 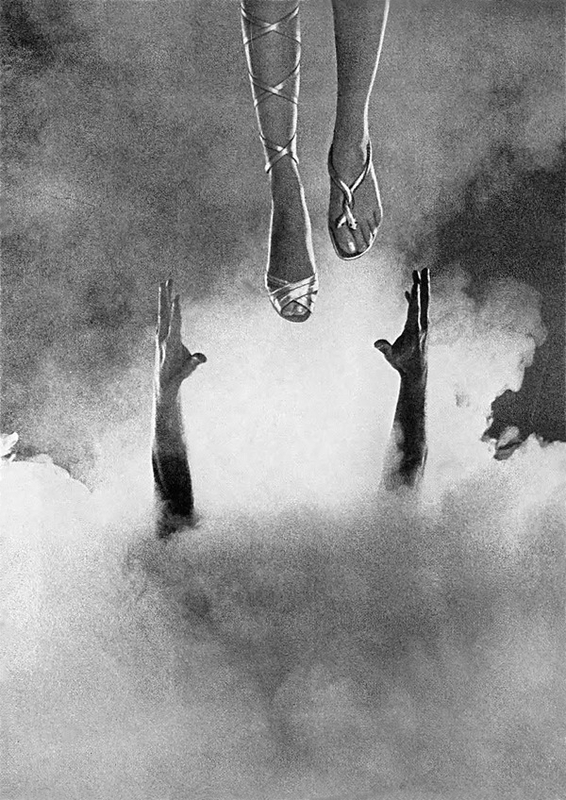 Even ingenious and clever for how the snake cord is wrapped around the foot. 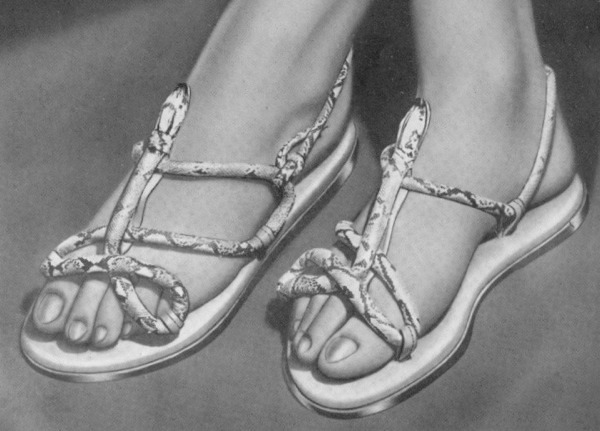 The sandal's name fitted perfectly the illusion to find an actual pair somewhere. And then, digging in that warehouse-size cabinet of treasures called Metropolitan Museum of Art, we found it. This whimsical model coordinates the snake theme in both motif and materials. 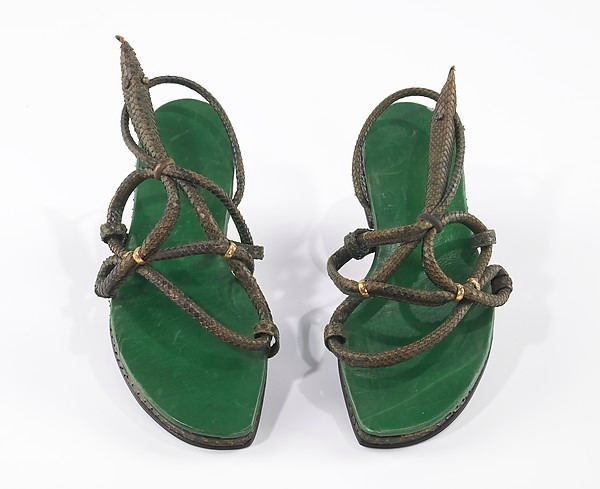 Although the maker of these shoes is not known, the inventive styling suggests that they could have been a product of their donor, premier American high-style shoe manufacturer Herman Delman. Maybe, or maybe not. A Delman product, that is. 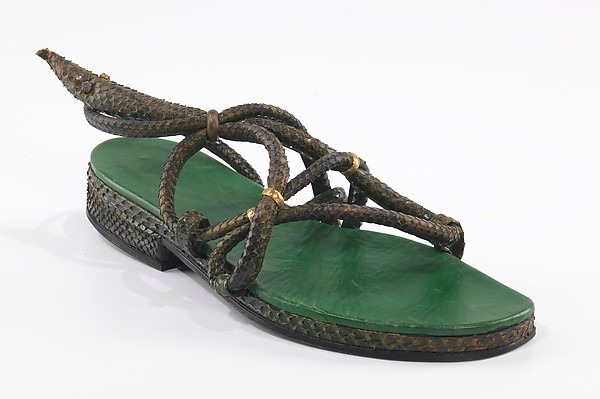 General idea and design are pretty obvious, but the MET sandal differs in details such as cord holders on the side of the sole, a low heel, sole shape, and how the snake head is secured at the neck of the foot. In the end, anyway you look at it, a pretty nice finding, isn't?